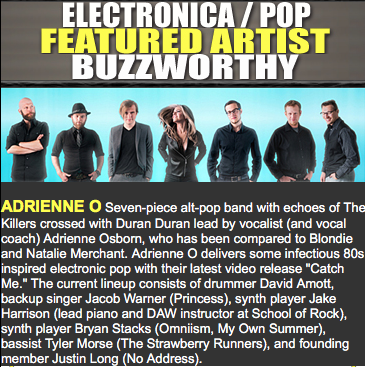 Adrienne O is an 80’s-inspired Denver alt-pop band with echoes of The Killers crossed with Depeche Mode, with a vocalist often likened to both Blondie and Natalie Merchant. 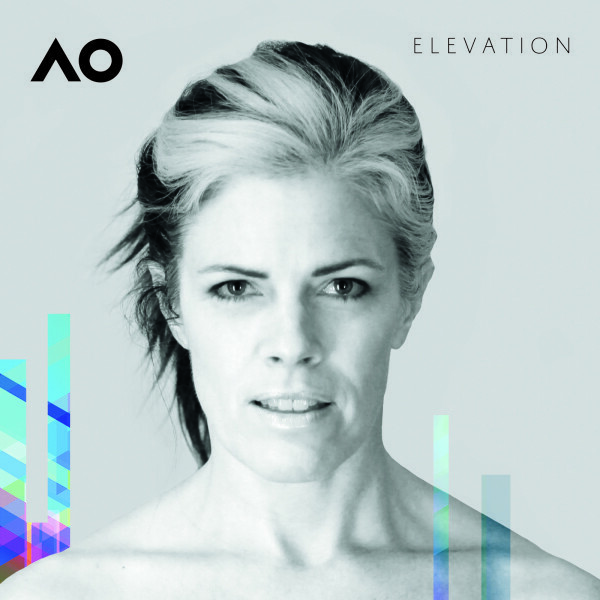 Vocalist Adrienne Osborn, once a record-breaking national champion waterskier and software developer, is on her third career as a vocal coach and musician. In the winter of 2015-16, after three years of shows culminating in four theatre shows including the Bluebird and Fox Theatres, the band regrouped and expanded while working on its third EP. Originally a trio with Adrienne on bass, the band has grown to six pieces and incorporates a synchronized light show. Adrienne O and their music have been featured on KTCL 93.3 Locals Only, 107x Project Local, KCOL 94.9FM, The Colorado Sound, Channel 8 TV’s Denver Loft Sessions, Literati Records podcasts, Callywood Radio, multiple KGNU Innervision Top 30 Countdowns, and the 2013 BolderBOULDER Bootlegs CD. The band has played at venues and festivals such as Coors Field, the South Park Music Festival, the Underground Music Showcase, the Taste of Colorado, the Bluebird Theatre, the Gothic Theatre, the Hard Rock Cafe, the Hi-Dive, the Walnut Room, the Larimer Lounge, Nissi’s, the Dickens Opera House, City Hall, the Soiled Dove Underground and the Moon Room. The band has released three EPs and three official music videos. To learn more about upcoming performances and project releases, visit https://www.adrienneo.com. Click here to download two high-res and two low-res band photos. Click here to download CD cover artwork, band logos, and stylized band name. Click here to download a stage plot and input list. A remix from our first EP – a remix which original band member Tad Wheeler created – landed in feature-length film A Remarkeable Life, released in theatres across the US in 2016. We had a lovely discussion with Mark White and played a few songs – some of them for the first time ever – in this two-hour visit. The Topic of Conversation with Rob Scoggins Jr.
Alli Andress interviewed us for her “Get to Know a Denver Band” series. We talk about getting bitchy with each other, that scary first show, and which Denver musicians inspire us. Musicians Friend included Adrienne O along with several artists across the country in an article called “Friends of Mine: Connecting with Fans via Social Media”. Stanley Bronstein of “Super Change Your Life” talked at length with me about my career change from software developer to musician. I sat down with Mark Pruisner of Literati Records in the green room right before our EP Release Party at the Walnut room in July 2013 to talk about Superchromatic and our journey so far.